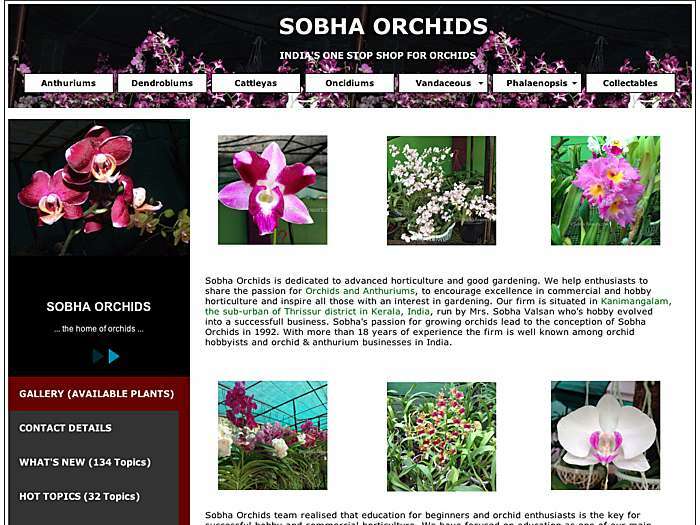 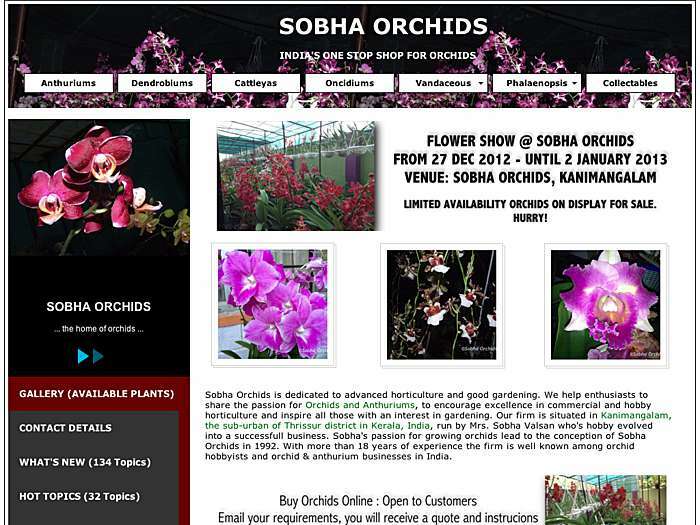 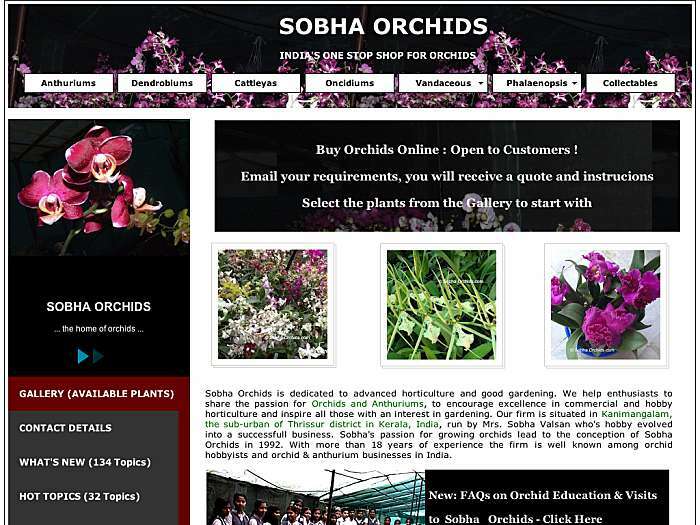 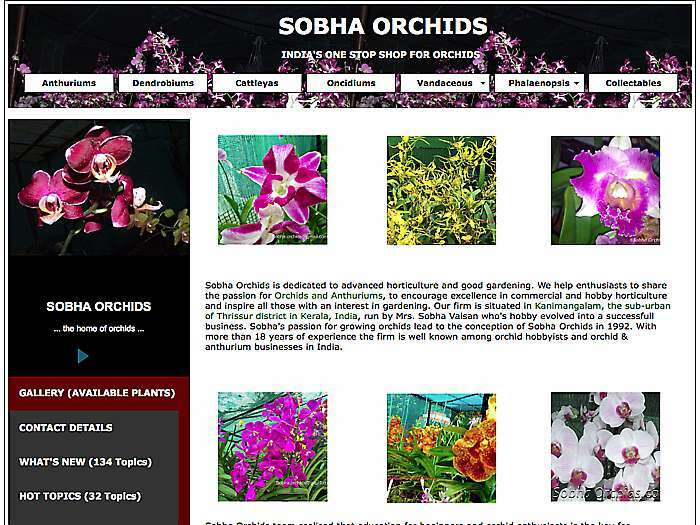 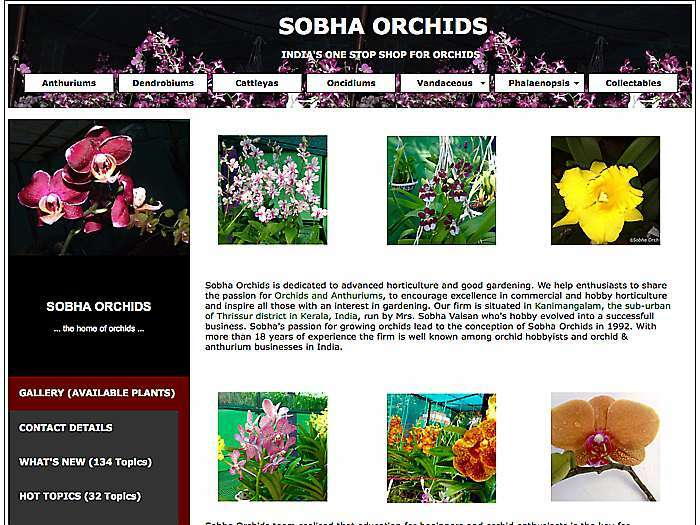 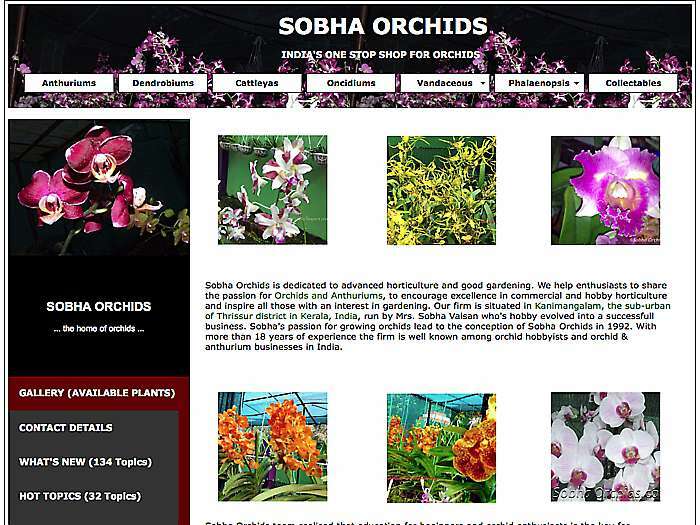 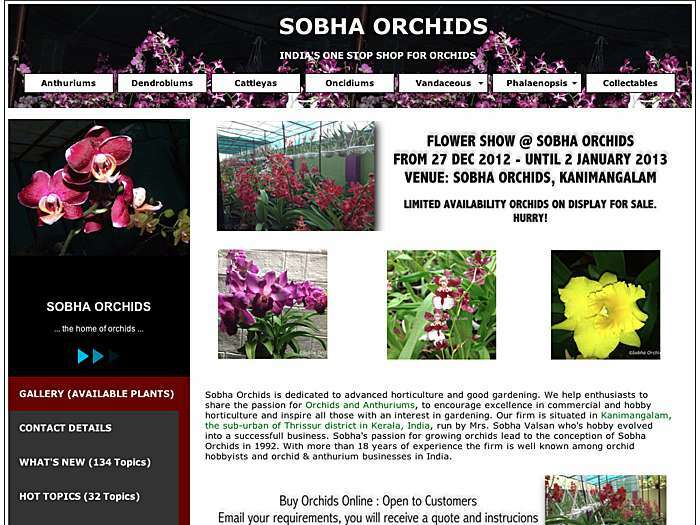 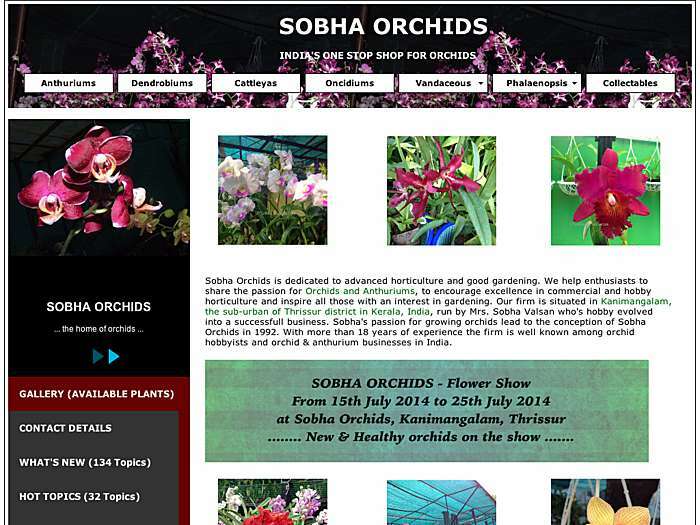 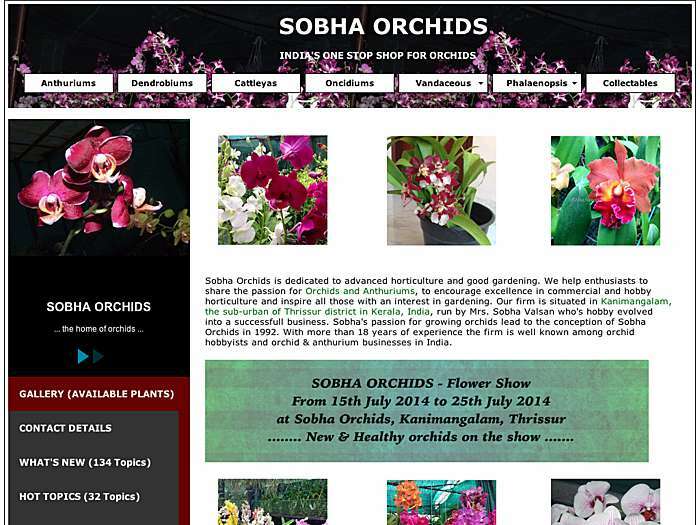 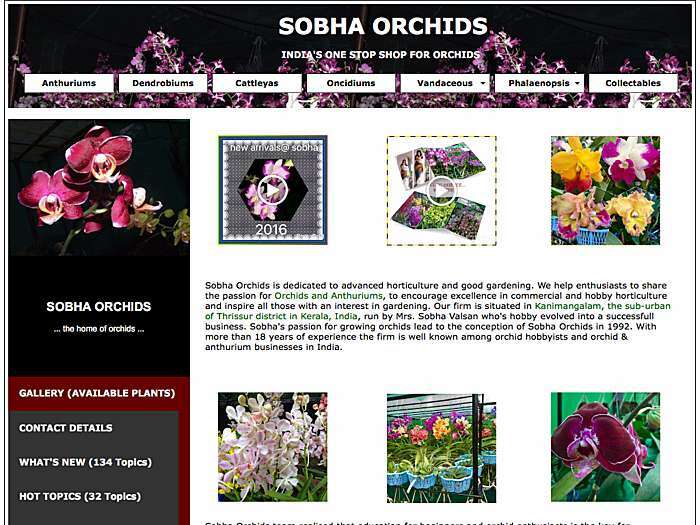 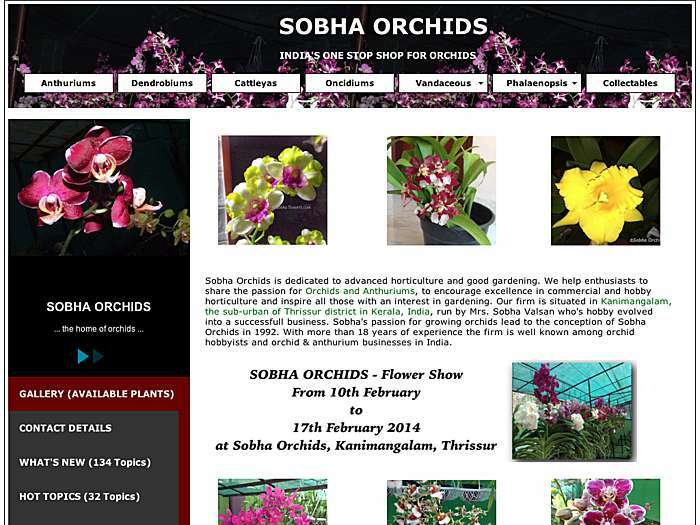 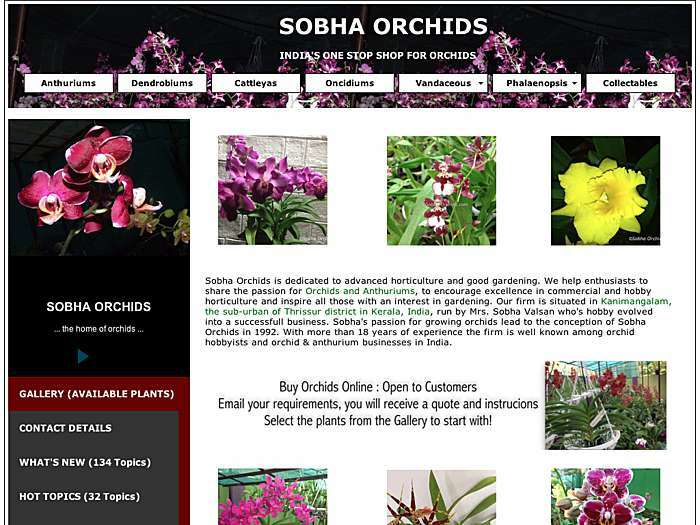 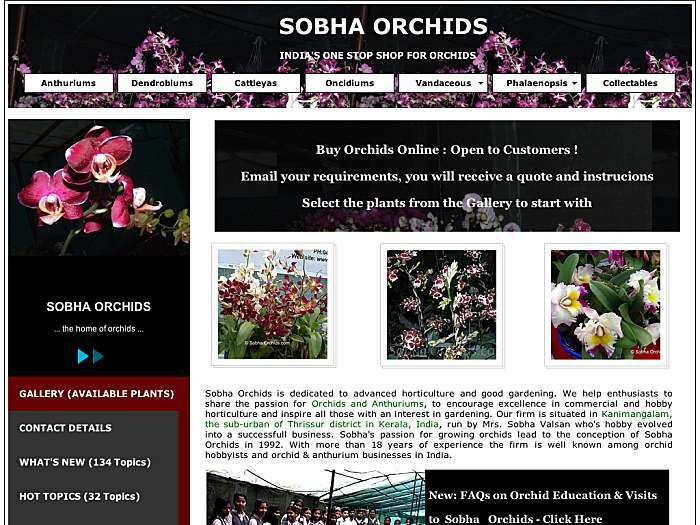 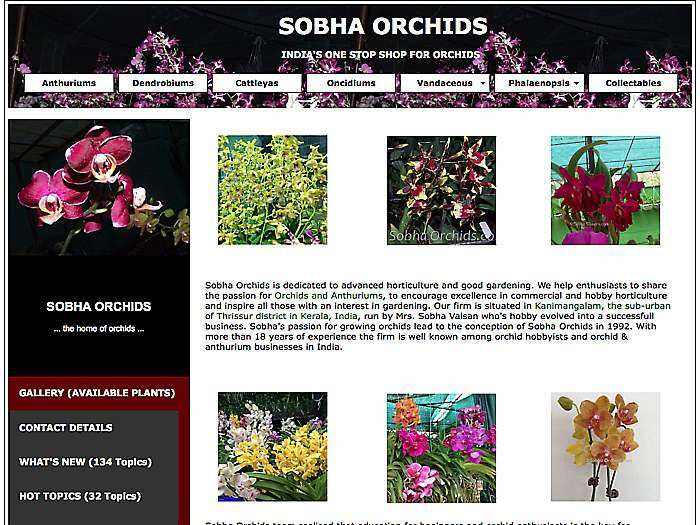 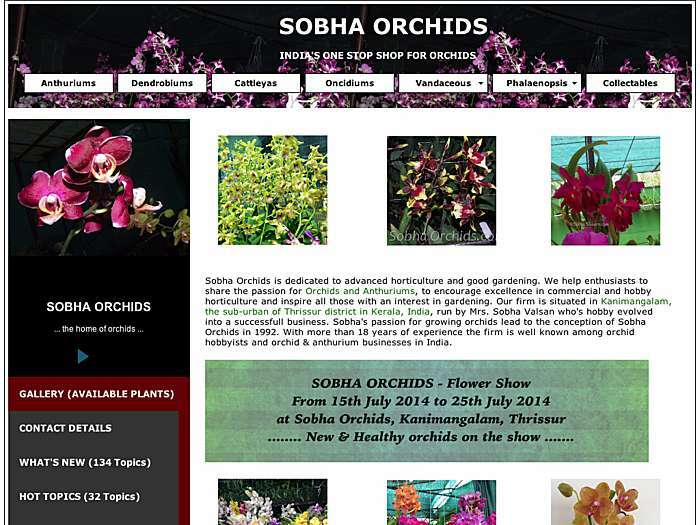 Orchid genera offered includes Phalaenopsis, Vanda, Cattleya, Dendrobium, and Oncidium. 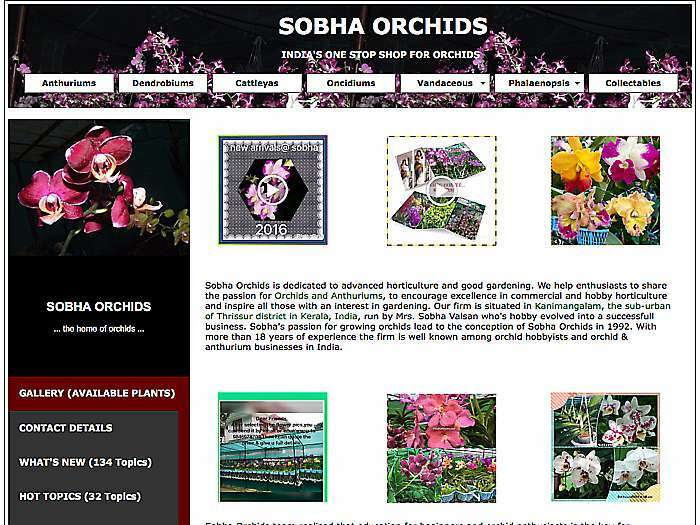 Culture notes. 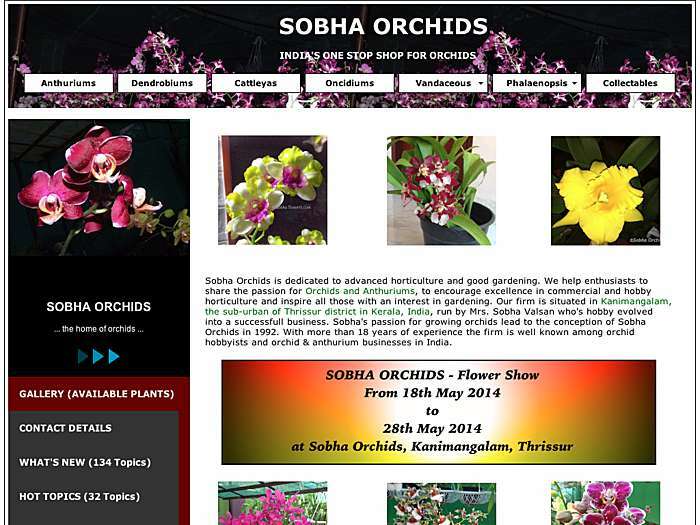 Kanimangalam, Kerala, India.